Diego Guerra is the operational lead for AlphaBet Club Madrid for the last several years. 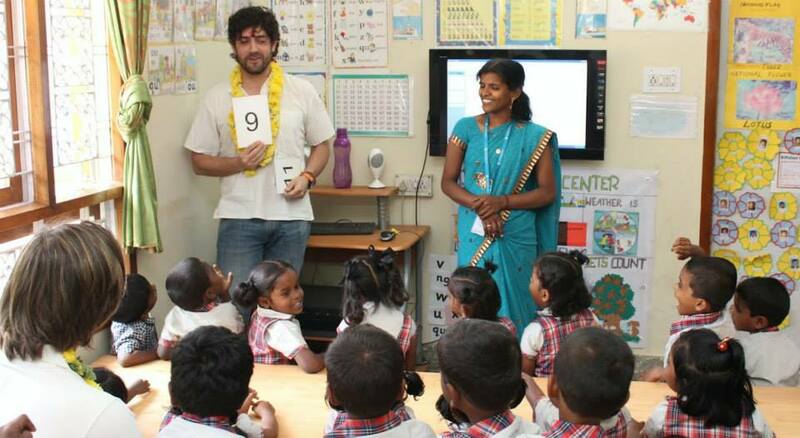 Diego, along with a few other volunteers from Madrid (Giles, Laura and Troy), recently visited Bangalore to experience first hand ABC projects. Enjoy reading his experience. Back in March, I landed in Bangalore “international” airport with a bag full of toys, questions and expectations. Days later I left empty handed and with a mixed feeling of sadness and pride…..Let me step back a bit so you can understand: I come from an urban tribe known in The City (aka London) as “Eurotrash”: fresh European graduates that get there to work for investment banks and consulting firms…….. big compensation packages and no obligations whatsoever…I am sure you can understand what kind of lifestyle that usually leads to (looking back now, it feels so awkward). 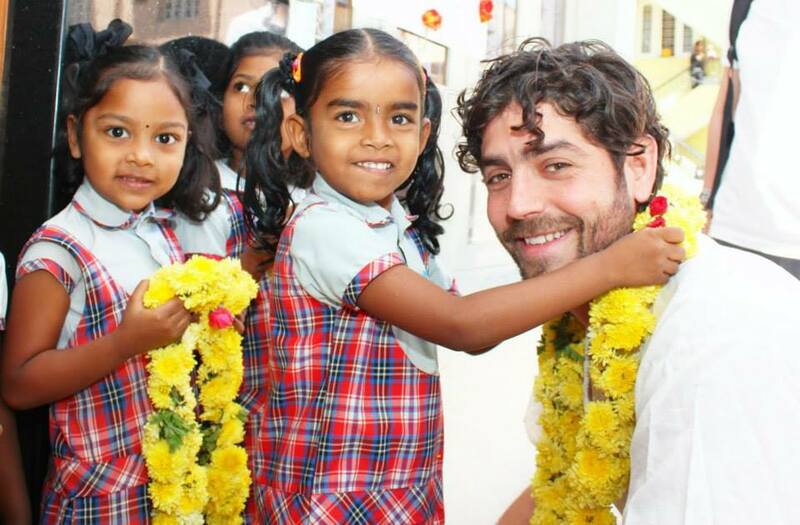 A few years ago I left banking and spent some time living in Africa, where I felt the urge to make a difference in this world…….. Now, 4 years since we first started the AlphaBet Club Madrid and having now seen our schools in Bangalore, I can finally feel that I am making a difference….maybe a small one, but still a difference. On arrival to Bangalore first thing that struck me was the lack of traffic and the amount of garbage and wild dogs you see in the streets……it was just 10 pm and it was already “a no man’s land”. The next morning, Laura, Troy and Giles were already waiting for me when I woke up… they had all been for a bit in India so I was the only one with jetlag. So we went to Edelweiss School where Headmaster Christina had arranged for us to visit the kids and get a better understanding of what our money was providing and how it was impacting lives………… Some people may say it was the jetlag, or even the hangover from farewell drinks in Madrid, but the truth is that I was totally overwhelmed by the goodness I could feel in those classrooms…….On that first visit I barely spoke for the first 2 hours (those who know me will find this hard to believe). The abstract concept of funding projects for kids living miles away was turning right in front of me into walls, uniforms, notebooks, legs, hands, eyes, laughs, smiles……and it was somehow activating my internal self defense mechanisms, and it was winning. Something in the back of my brain was rebooting to process this reality. After experiencing a class: the washing hands process, lunch with the kids (and a successful system reboot), we had a meeting with the staff where we could ask them any questions about the school and the kids, as throughout the entire trip the key focus was on transparency of numbers and procedures. Later we went upstairs to the roof terrace where I had the honor of inaugurating the new playground….. 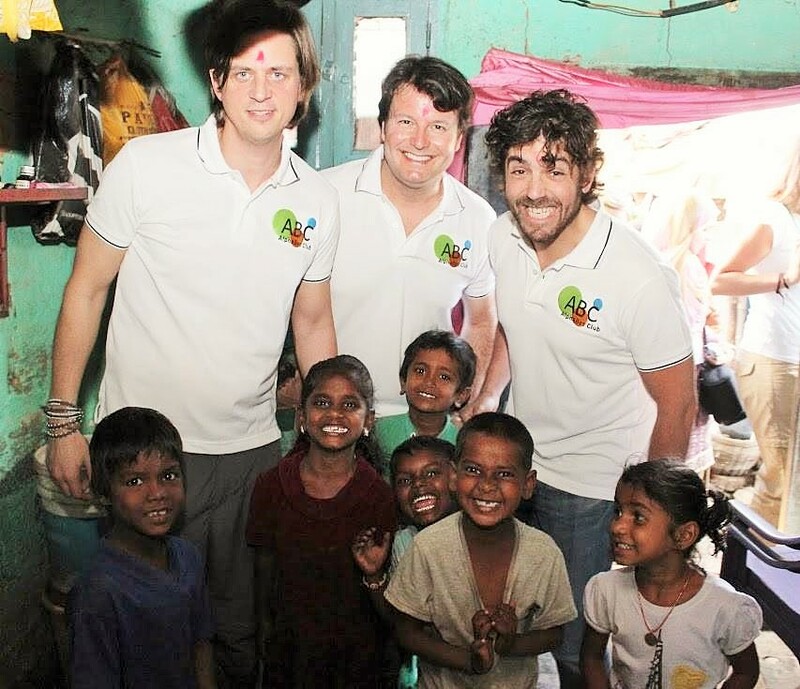 It was so much fun….. kids enjoyed it to the core, and so did we!!!! 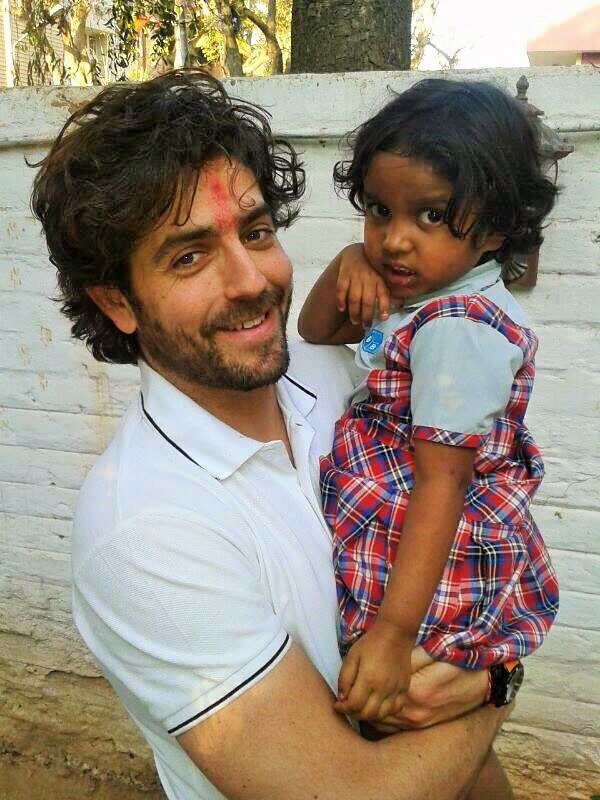 Afterwards, we went back downstairs where we painted a canvas with the kids and met some parents before heading to the slums………. It was key that we saw where they live to understand how our tiny little efforts can change AND save lives. The slums are mostly garbage and dirt…..sick dogs hang around the kids that go barefoot, flies take over the food (when there is food) while the kids eat it, and water is stinky and clearly not suitable for drinking. Kids in Bangalore slums start “producing” for the family since age of 4 (either taking care of younger members of the family or collecting recyclable garbage), so it is one of the key roles of our partnership there to convince parents that sending the kids to school is good for the whole family, which when you are talking about survival, is not easy (I am happy to say that judging it by a) the amount of kids attending school and b) the warm welcome we were given in the slums, it is outstanding work that our team does in this regard). 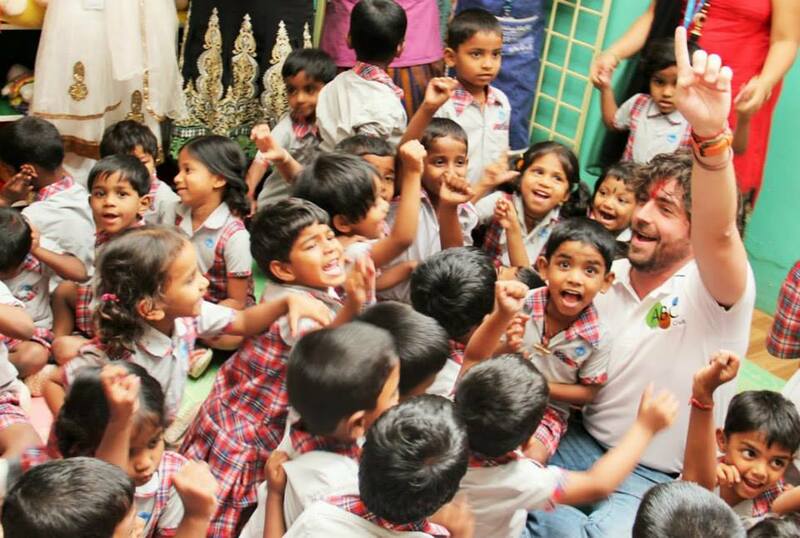 I also had the chance to visit our other School, Freesia to celebrate the 1st Anniversary where we ate, we danced, we played and threw a little party for the kids and gave each kid one toy to take with them….It really shocked me how differently these kids react to a present compared with Western children….. they really didn’t know what to express or do, as they are not used to receiving gifts and certainly not toys…..Once again I was overwhelmed by the feelings that were awakening within me. But not all was a celebration, we also had many proper business meetings with other donors; Architects briefing us on plans to build our next school, and with Building Blocks Management that had to go through our thorough auditory, as this trip was not only about feelings but also facts, so we can now tell people in Madrid that we are positive their money is well spent. On my last day, I went with Troy to meet the Founder of another impactful Educational NGO to discuss the possibility of ABC funding new schools for children without access to education, living in other slums. The visit was eye opening as children and families live amongst big piles of garbage at a garbage dump which is right behind luxury condo buildings……Bangalore managed to strike me even on the last day………. a) Proceeds sent from Madrid are being well spent in India and can be back tracked down to the cent (or Rupee). Each of those cents change and save lives. 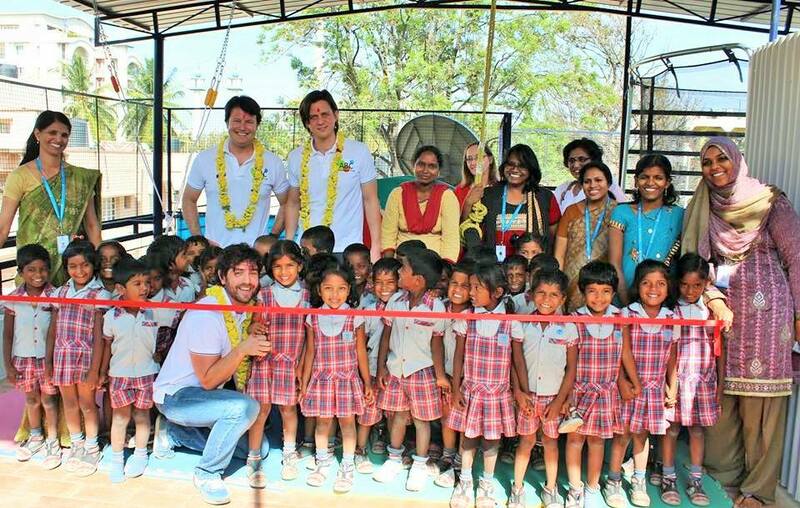 b) AlphaBet Club is just one of the many sponsors that the schools we fund have: Building Blocks’ Bangalore team is doing such a great job that many other international organizations and individuals, are funding them. c) I left Bangalore sadly realizing that what we do in Madrid is not enough, but also proud because it does make a difference. d) I will be forever grateful to Arjun, Sneha, Sunil, Kumar, Vashanty an all the other kids I met on this trip for making me a better person. 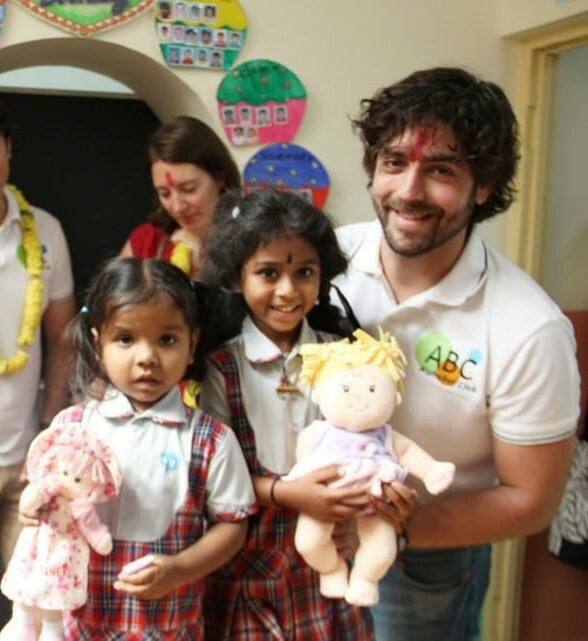 — On behalf of AlphaBet Club, we’d like to not only thank Diego for visiting India and to experience ABC School Projects first hand and later share this testimonial, but for the countless hours he’s volunteered with AlphaBet Club running ABC Madrid over the last years.